The Arab world's acute unemployment problem will be high on the agenda at this week's World Economic Forum (WEF) meeting in Abu Dhabi, as experts grapple with the need for millions more jobs over the next decade. 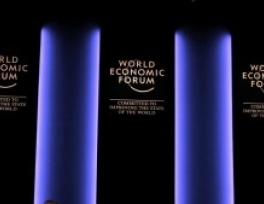 Around 1,000 global thinkers are due to descend on the UAE capital for the WEF's 'Summit on the Global Agenda 2013' meeting, which starts today. Arab unemployment will be a key issue for discussion, said Martina Gmür, the WEF's senior director and head of the network of global agenda councils. "We see youth unemployment as a major issue, because that can have disruptive effects beyond just employment," Gmür told Al Arabiya News. Gmür said that she hoped for "a little bit of progress" to be made on the issue during the WEF event in Abu Dhabi. "These are issues that need to be coordinated across regions, countries and different stakeholder groups," she said. The unemployment rate in the Middle East and North Africa is among the highest in the world. The World Bank estimates that another 98 million jobs will be required over the next decade. According to the International Monetary Fund, around 20 million young people in the Middle East are without work. Even the relatively wealthy Arabian Gulf faces a jobs shortfall, according to recent statistics. The IMF predicts that one million jobs will be needed for nationals of Gulf Cooperation Council countries by 2018, according to data released this month. 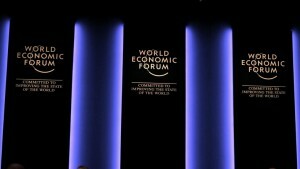 Aside from unemployment, global inequality and the growing income gap will be other big topics for discussion at the WEF, Gmür said. Lee Howell, managing director and member of the managing board at the WEF, said that a "tremendous amount of brainpower" would be working hard at the event. "I don't think we can predict the future, but we can prepare better for it," he said. Delegates at the event include Sultan al-Mansouri, the UAE minister of economy. Klaus Schwab, founder and executive chairman of the WEF, is expected to give a keynote speech.